A Feminist Network for Oxford! Welcome to Oxford Feminist Network, bringing together feminist and women’s activitism and campaigns across Oxford. This group is for any person of any gender identity in Oxford and all are welcome to be members whether you are just beginning to explore feminism or whether you have decided your views. 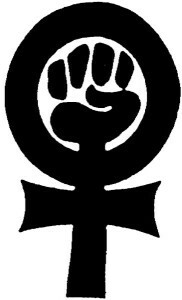 This group is about recognising that feminism is an inherently political movement connected to and through lots of other social justice movements and challenging other forms of inequality. We meet once a month in Oxford (see calendar) for discussions, activism planning and networking and at other times to conduct events, protests and projects. We aim to be an accessible group; to meet at accessible venues and put up information and important points raised in our meetings for those unable to attend. You can contact Oxford Feminist Network by email, on Facebook and on Twitter (as @OxFemNetwork).